This is the name in Urdu of a poet who showed us the meaning of courage. Each day, over decades, he demonstrated to us how to stand and say your piece in the face of aggression and adversity. He was one of the most popular poet speaking the common people’s dialect and was very famous due to his ghazals and loud voice of conflict against dictatorship and established order in Pakistan. He was always at forefront of struggle for democracy. 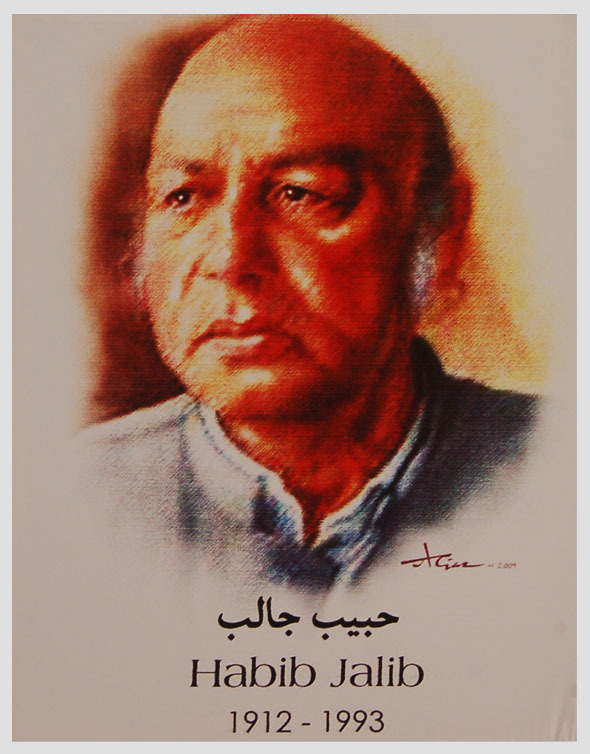 Habib Jalib was born as Habib Ahmad on 24 March 1928 in a village near Hoshiarpur, British India. He migrated to Pakistan after the partition of India and worked as a proofreader for Daily Imroze of Karachi. He died on March 12, 1993. His family refused the offer of the government to pay for his funeral expenses. He was a left wing activist and politician and was a faithful democrat who opposed martial law, totalitarianism and state oppression. He was a Marxist-Leninist and craved the ideals of communism. He spent most of his life in jail and rest on streets. He was a progressive thinker and politician who supported restoration of democracy during the period of military rule in Pakistan and had been confined for his views. 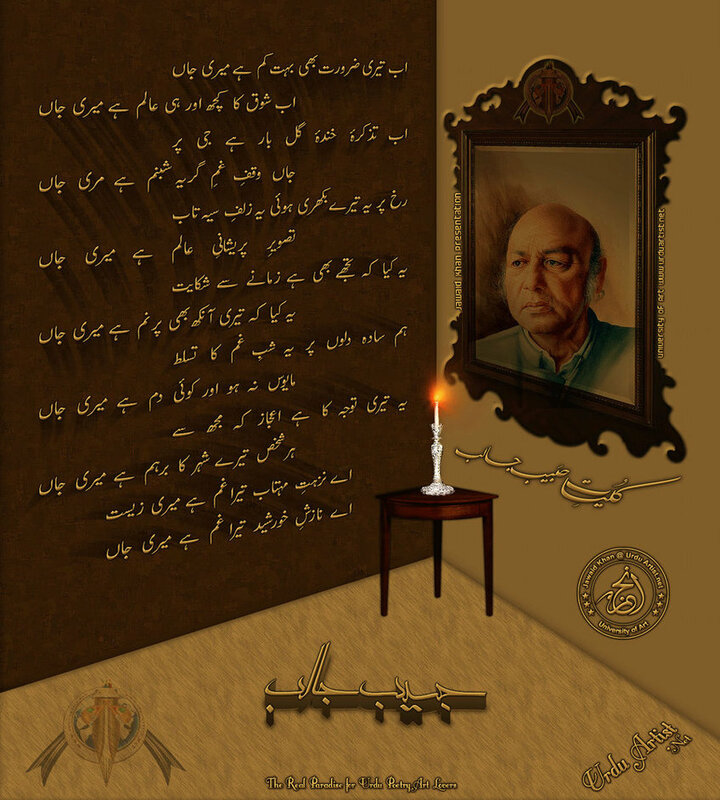 TO be classified by many as the `poet of the people` is downright rare; and Habib Jalib is such a rare specimen. 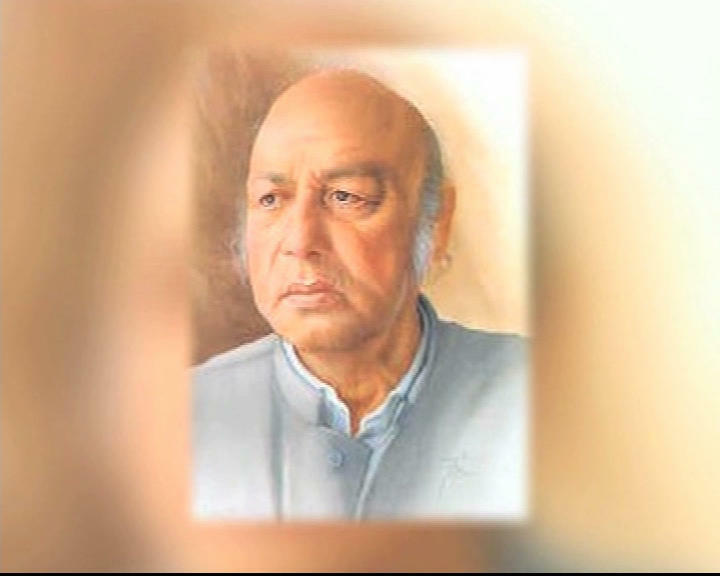 Born and raised in poor conditions where he often had to eat his roti with a paste made of ground chillies and water, Jalib knew very well the pangs of deprivation. He therefore sang, not of beautiful women, the lament of forlorn lovers, skylarks or nightingales; instead his poetry exudes the scent of the perspiration of the working class and gives voice to the agony of their hunger and needs. 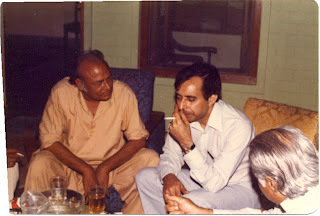 In his early years, Jalib also wrote film songs and ghazals. But his temperament was not cut out for such work. It was through the nazm that he found his fulfillment and catapulted to fame. Orators try to impress and overcome with the charisma of their personality and their rhetoric; Jalib accomplished all this and more merely with his verses. His mellifluous voice gave a magical feel to the simple language of his poems which penetrated the hearts of his audience and infused them with the spirit to resist their oppressors. 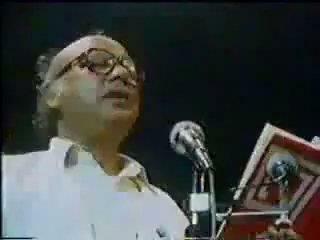 Jalib was also a leftist politician and an active member of the National Awami Party. His poetry therefore assumed a revolutionary note, directed against tyranny, whether it was by a dictator or an elected ruler. 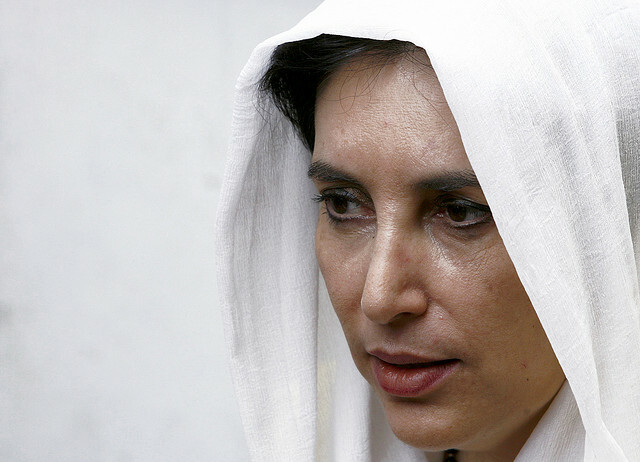 It was not only Ayub Khan and Ziaul Haq whom he targeted; he did not spare either Bhutto or Benazir Bhutto. Thus if he wrote Dastoor denouncing Ayub`s constitution and other poems satirising him, he also wrote Zulmat ko Zia kya Likhna (How to write darkness as light) which was a pun on Ziaul Haq`s name, and Larkanay Chalo warna Thanay chalo that was directed against Bhutto`s oppression. while Benazirs (literally the poor) of the country walk without shoes. Such songs roused the rabble, but they also antagonised the rulers. 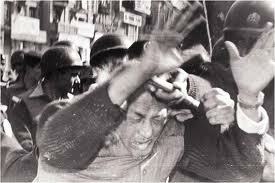 Jalib was hounded by the police, implicated in false cases, including some of criminal nature and often thrown in jail. 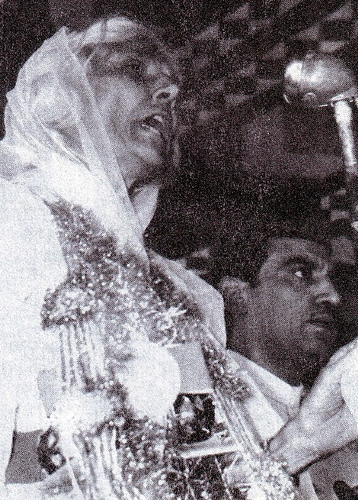 But an unfazed Jalib lent his full support to Fatima Jinnah in her election contest against Ayub Khan in 1965. The paradise is under the feet of the mother. So come into her fold. Jalib was drawn to poetry and poetic gatherings from a very early stage in his life. Financial constraints forced him to drop out of school and seek a living, but his restless temperament did not let him stay put at any job or place for any length of time. Similar to his poetry, his memoirs too are shorn of literary embellishments. 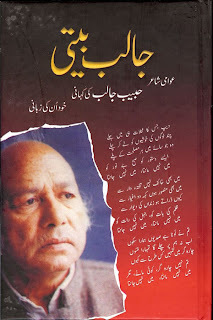 Rendered in colloquial language, his narrative titled Jalib Beeti, compiled and edited by Tahir Asghar, reads like a tale full of Jalib`s fantastic exploits that keep the reader`s attention riveted from cover to cover. Frank and outspoken, Jalib hides nothing. He narrates how his grandmother knitted socks and he would go round with her to sell them; he also accepts drinking as his weakness. The memoir is full of humorous anecdotes. Yet, there is pathos too which is evident from the lines that narrate the incident of him being handcuffed by the police while his three-year-old daughter stood watching. But Jalib also tells insider stories from how the police cookup cases, to revealing secrets such as why Maulana Abdul Hamid Khan Bhashani of East Pakistan, `let down` Fatima Jinnah although he was in the National Awami Party which was supporting her. A most fascinating feature of the book is the selection from Jalib`s more famous poems along with a write-up about the circumstances they were composed in. For instance, the hit song in the movie Zarqa was written when filmstar Nilo took sleeping pills to avoid dancing before the Shah of Iran. He didn’t affiliate to any party and preferred to be freelance. 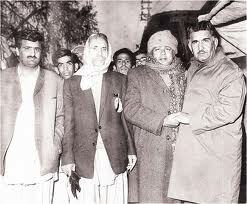 He was a progressive contributor of trade union struggle and convocations for democracy. He was also emanating as a champion of women rights and also leading protest marches by women against discriminatory laws. 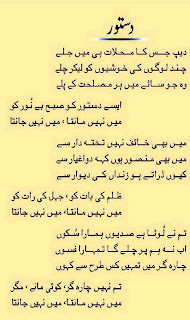 With my recent love for Habib Jalib sahab here’s one of his finest poems. The fact that it pretty much implies for every era is commendable. The poem was originally written In 1962, when Field Marshal Ayub Khan formulated the new constitution and was playing the flute of his administrative capabilities, Jalib called it faulty. He called it a tool of exploitation and wrote his most memorable poem Dastoor which shattered the manipulated intentions of the government. 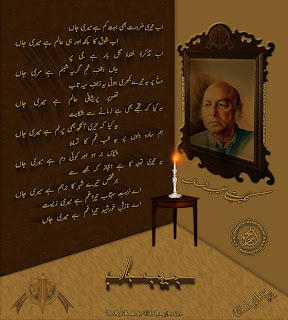 While exploring, I came across some beautiful poems by Habib Jalib and the one most fitting in the present political crisis was “Jaag meray Punjab Jaag ky Pakistan Chala”. 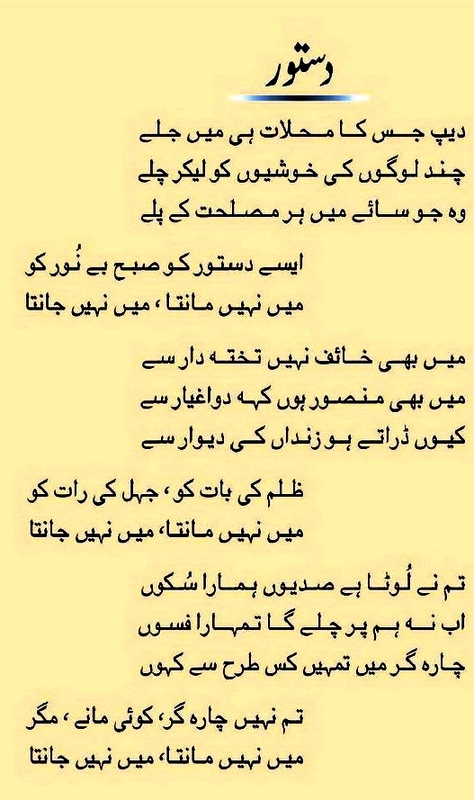 It’s a poem calling for the people of Punjab to open their eyes before it’s too late and see the suffering of other provinces in Pakistan due to the unfair policies of Punjabi chauvinist in the military, federal government, media or beaucracy. Complete english translation of this poem. leaving our garden full of smoke. of flowers on the branches? but we shall overcome these bullies. and stories full of laments. In July '77, after Bhutto's government had been overthrown, General Ziaul Haq's regime withdrew the case and released the NAP leaders. 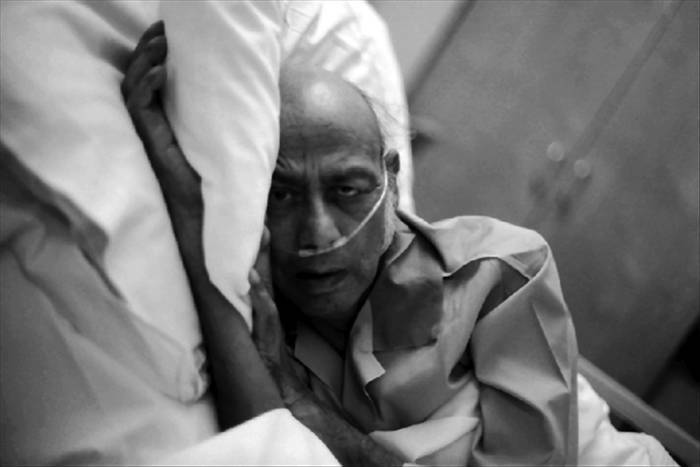 Jalib Sahib however had been released on bail after fourteen months due to bad health. The day Jalib Sahib was arrested for this case, it was the soyem - the third day of mourning - of his eldest son Tahir Abbas. Most of the poetry he wrote soon after he was detained was 'in memory of my son Tahir Abbas'. A fter reading Noor Afshan's letter, I am missing him even more. But losing him, I would never forget. The world looks like a centuries-old ruin. How much could he have lived in this stone-hearted setting anyway? Now do I understand why he was picked up from this world. The verdict they have reserved for us is written no their faces. F or the moon shall rise no matter how high you build the walls. And we don't care what punishment we get from the intellectuals. We'll kindle the fate of every grain of earth. They'll shed a lot of tears, they'll offer a lot of praise.